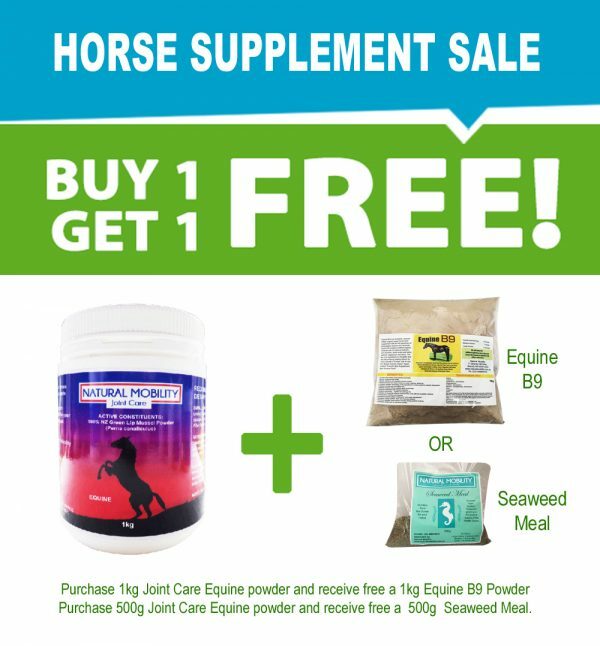 Purchase 500g Joint Care Equine powder and receive free a 500g Seaweed Meal. 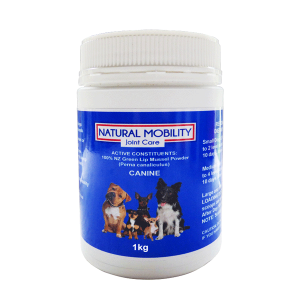 Supplying Natural Supplements and Nutrients for joints, ligaments and tendons in Horses, Dogs and Humans. Our natural anti-inflammatory products use 100% pure green lipped mussel powder from the pristine waters of New Zealand. Call Ashley for more information about how this product may be able to help you and your pets. 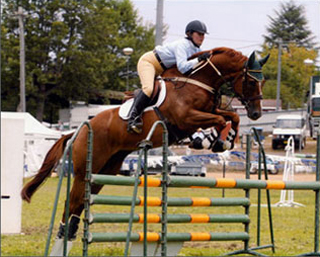 Ashley has many years experience in caring for horses and dogs and is more than happy to guide you on dosage rates for her joint nutrient and health supplement products. 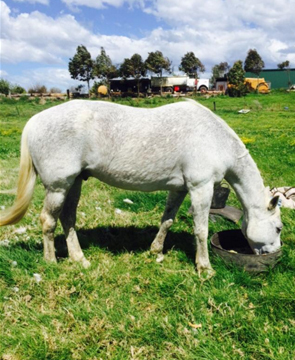 Diatomaceous earth is being used by a growing number of horse owners for a variety of purposes, including parasite control and as a source of silica. 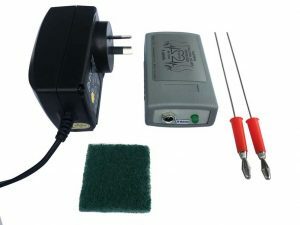 l have been very fortunate over the last few years to have acquired a Colloidal silver Generator for use on my animals. It has been very effective with many other animal ailments that require a natural way to assist in healing. 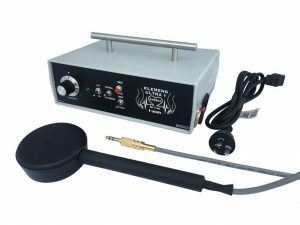 I use this easy to use machine regularly on my horses when l fear l have a muscular tear or injury and to break up scar tissue. It has proven very useful over the years with its rapid repair and healing properties. It is very simple to use and yet gives wonderful results in a short period of time. Every Serious competing Equestrian should have one. NOTICE: At this time Natural Mobility Joint Care products are going through the APVMA registration process. Product details and testimonials have been removed from this site until Registration has been granted. Over the years we have had a number of ringbone cases with varying degrees of lameness. If you find you have a horse with this problem contact us for help. The treatment we give them is all the same. That being, Marine Calcium and Joint Care. 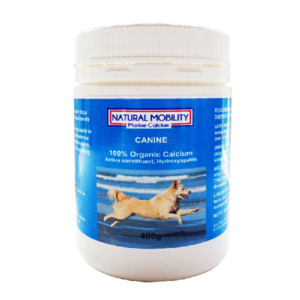 Marine calcium to settle down the bone growth and Joint Care for the pain. 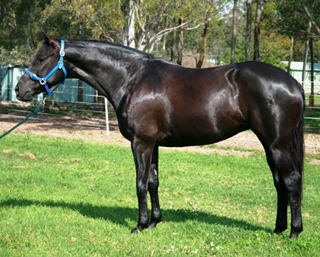 Nearly all horses have come sound with this form of treatment over a period of time. 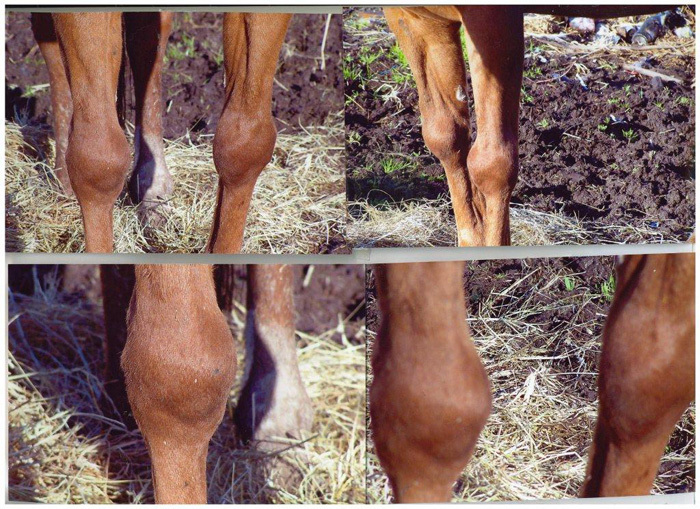 Marine calcium seems to inhibit the bone growth and over time has actually gotten rid of the calcium deposit in one mare who was so lame she was only days off being put down with ringbone in a hind pastern but with the combination of both the Marine Calcium and the Joint Care she came sound and the ringbone disappeared. She is still alive and well into her 20’s now. 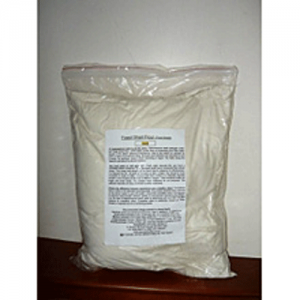 The Marine Calcium is made from the bones of deep sea ocean fish so it is organic and is very quickly absorbed by the body. Usually it is a 4 hour period whereby 95% of the calcium is absorbed. This is why it is so effective, plus it also has a 20% collagen content which is what accelerates healing. 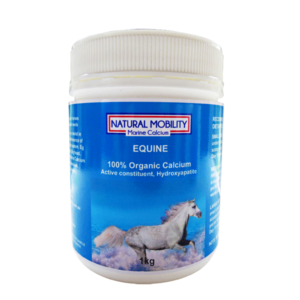 So if you have a horse suffering from ringbone or who is constantly lame or sore, please try the combination of both the Joint Care and the Marine Calcium and see how your horses agility improves . It may even improve enough to the point of where you will be able to ride him again. 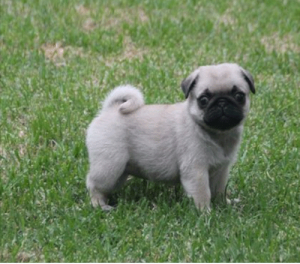 Introducing Clara, (Kabova Hot On Your Heels), future show champion Pug puppy who gets her Natural Mobility Joint Care every day as a prevention for her joints but also because of its Omegas, Vitamins and Minerals. 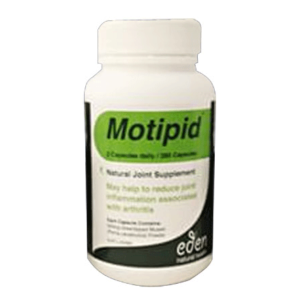 As an owner/breeder of dogs for many years her mum knows only too well how to avoid joint issues in the future NATURALLY with the help of Joint Care. Would Natural Mobility “JOINT CARE” assist these knees? Just under 6 weeks ago my old boy Hurcs came down with a mystery virus that the vets could not quite work out what it was so just declared it as a virus. 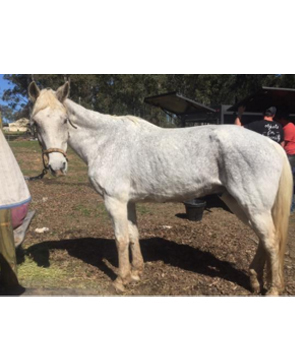 Hurcs was dropping weight before our eyes and could barely walk, extremely lethargic and off his feed, we were thinking the worst that at the age of 28 Hurcs was not going to make it. With tears flowing by the bucket load I needed to do something to help him before it was to late. I rang Ashley for help and she straight away put him on a program of tiny mash feeds and her Equine B9 to clear his body if the unknown toxins. Within 2 days Hurcs was starting to improve, looking more alert and wanting food, within 4 days he was back to himself but extremely skinny. I had to hide him in shame as I don’t do skinny horses. I took pics the day I started the treatment with Ashley and today took more for comparisons. I was not going to post the before pics as I don’t need the negatives on how bad he was, but want you all to seeing the difference for yourselves. Thank you so much Ashley from the bottom of my heart and from Hurcs for saving his life . 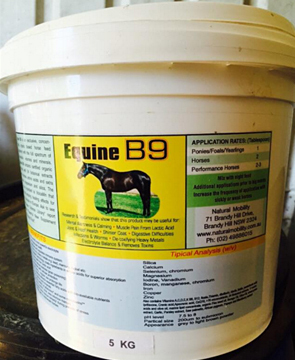 Equine B9 is an exclusive, concentrated, organic based horse feed supplement with the full spectrum of bioavailable vitamins and minerals. 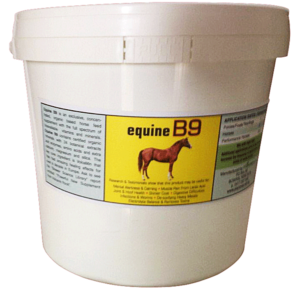 Equine B9 contains certified organic minerals with 24 botanical extracts and enzymes, amino acids and extra calcium, magnesium and silica. The key core ingredient is VolcaMin that has had amazing healing effects and used for over a decade in Europe. 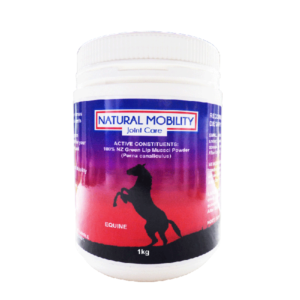 Natural Mobility AU & NZ - Nutritional Supplements. 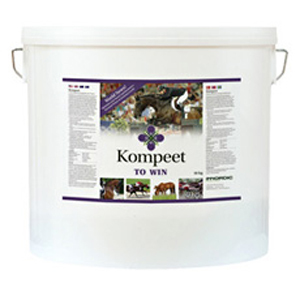 Supplements and nutrients for humans, horses and dogs.